Tinta Color Extension Lock-In Shampoo does not contain pigment, but is the first of a two step process. 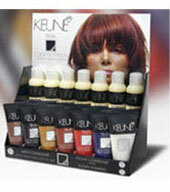 The second step is the use of Keune Tinta Color Extension Add-In Conditioners which will add and lock in color. This process is designed to prevent color fading between hair color applications.